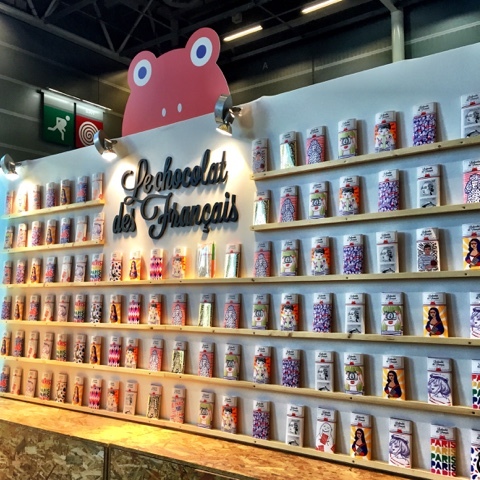 We just got back from the Salon du Chocolat 2015, held in Paris this week and I've been feeling like the German exchange student kid from the Simpsons "don't make me run, I'm full of chocolate..!" ever since. 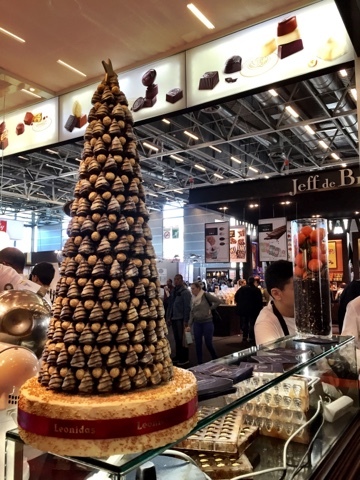 No biggie though because the Salon du Chocolat was totally worth it. 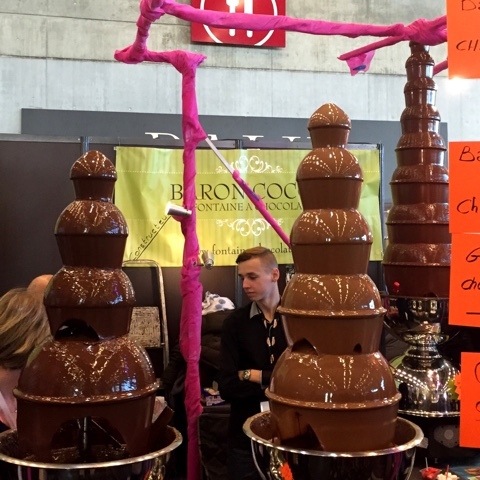 220 chocolatiers, pastry makers, confectioners and cocoa experts from France and around the world came together this week to celebrate their passion for chocolate. 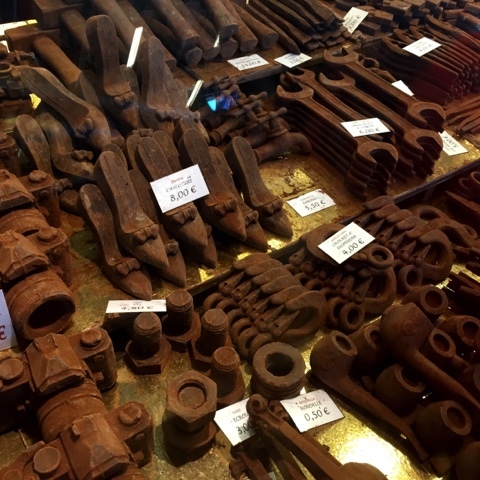 Today, I found myself wandering through 20,000 square metres of chocolate and chocolate-related exhibitions ranging from demonstrations, workshops, and countless stalls as well as samples, samples and um.. more samples! 1. 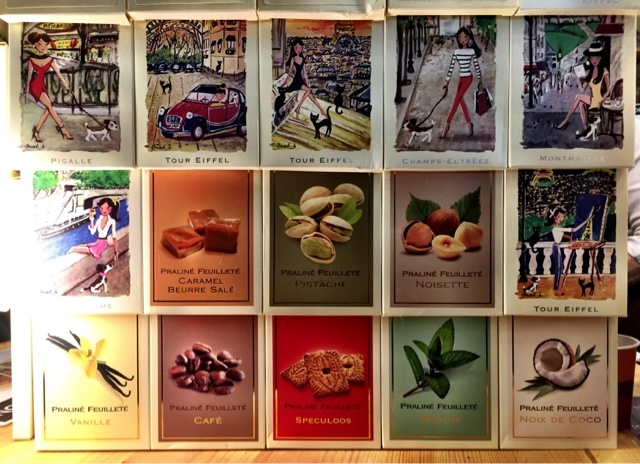 What started out as two friends who met each other in a French school of arts has turned into a perfect fusion of their interests - chocolate and art. 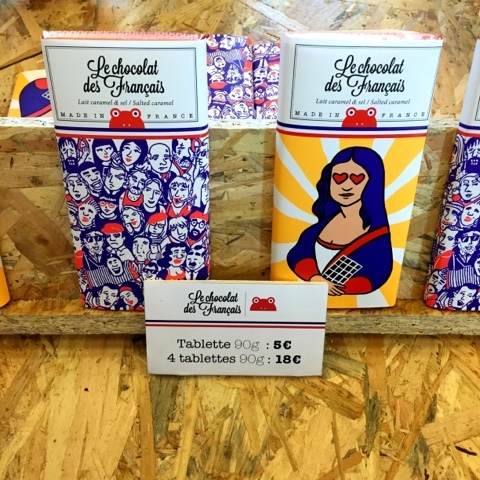 Sourcing independent artists to design the sleeves and high quality artisan made chocolate to fill them up, this modern palm oil-free, preservative-free, made in France chocolate brand is one to watch out for. 2. 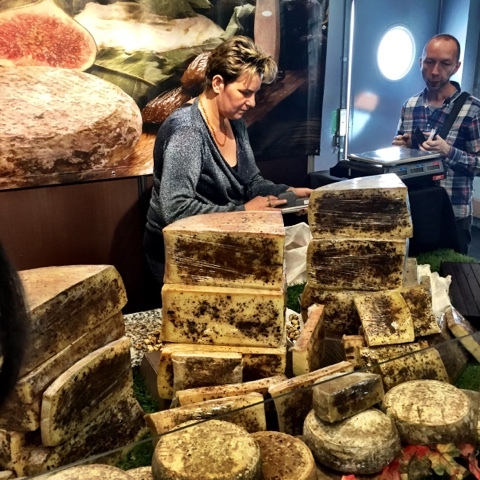 Chocolate cheese - who would have thought this was even possible? But trust the French to make it happen. 3. 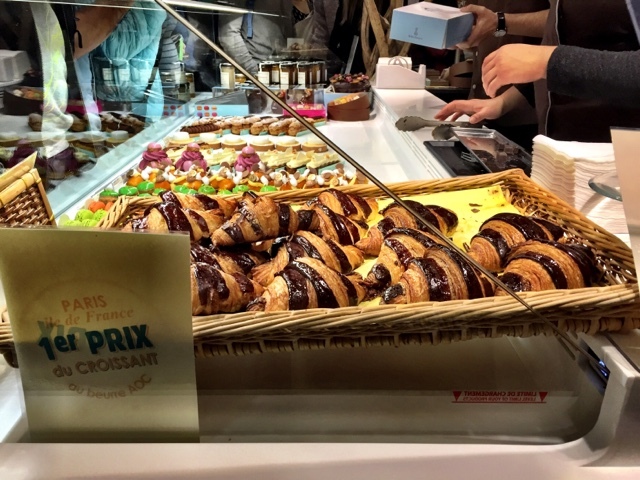 The best croissant in Paris 2015, awarded to Benjamin Turquier at Tout Autour du Pain boulangerie in the 3rd arrondissement - check it out for yourself. 4. 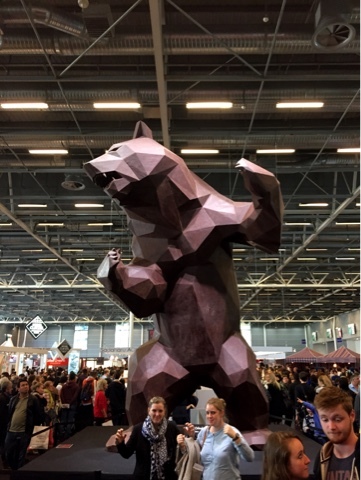 A giant 6 metre high chocolate bear created by Richard Orlinski which proved to be a hit with passersby! 6. 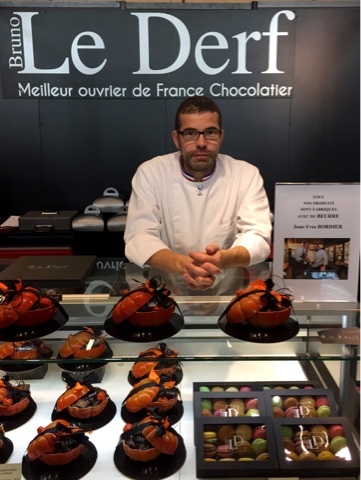 Bruno Le Derf who once won best chocolatier of France and his stand where his chocolates are produced ONLY using the famous Bordier butter from Brittany. 7. 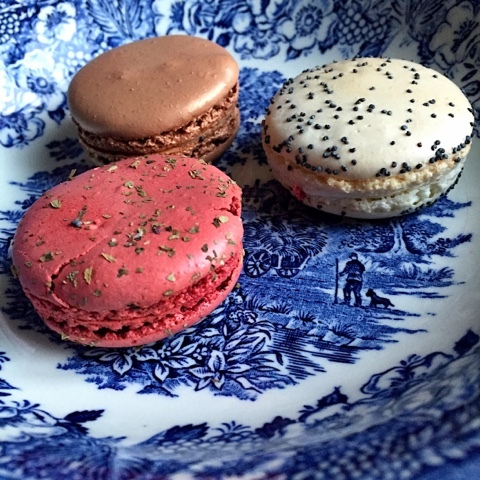 Savoury macarons with the following flavour combinations : olive tapenade, foie gras and chocolate, foie gras and gingerbread, onion confit and red wine, foie gras and fig, smoked salmon and dill, Auvergne blue cheese, tomato and basil, goat's cheese and honey and, garlic and herb cheese! 9. 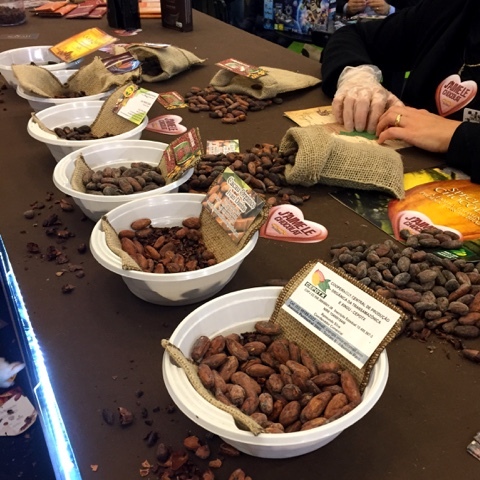 This was one of my favourite demonstrations where I was able to taste the raw cocoa bean with the sweet white pulp surrounding it, found inside the pod. 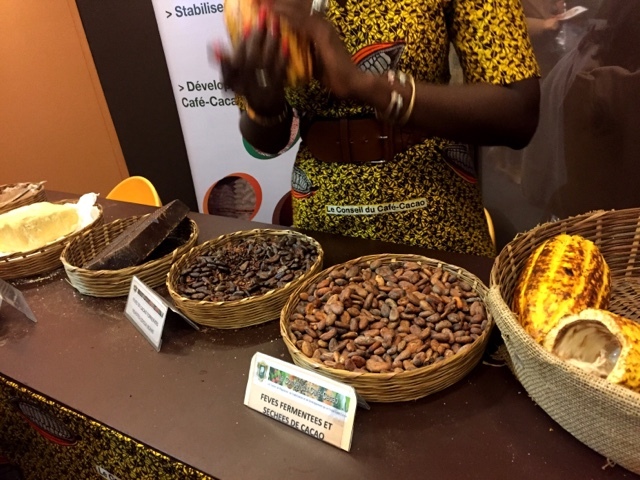 We were then led through an explanation of the harvesting and processing of the cocoa beans in order for them to reach the end product, chocolate. 10. 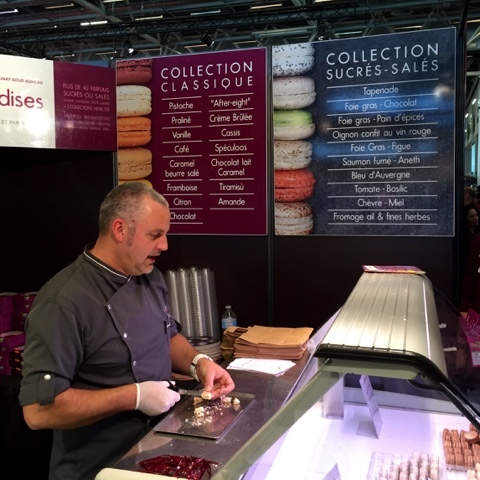 And lastly, coming home completely chocolated-out hanging out to taste something a little more savoury - the tomato and basil, Auvergne blue cheese and chocolate foie gras macarons we'd picked up earlier on!